The Downtown Ithaca Alliance (DIA) engaged Hunden Strategic Partners (HSP) to conduct a two-phase market demand and financial feasibility analysis for a potential new conference center in downtown Ithaca. The study includes an analysis of the marketability and uses of conference centers and exhibit facilities, operating and development cost estimates and an economic, fiscal and employment impact analysis. 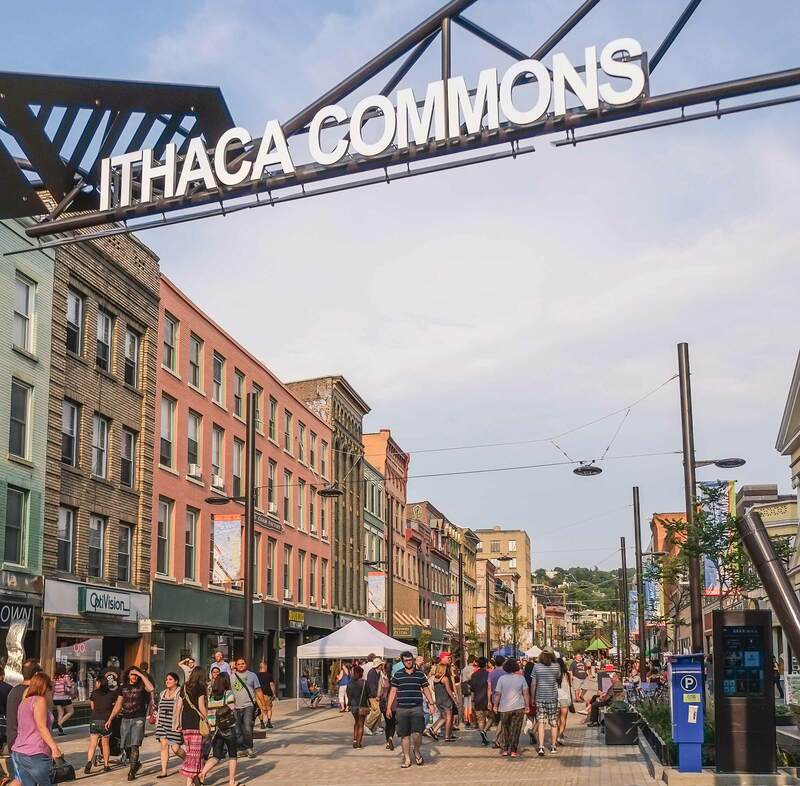 Conducted in 2017, the study concludes that downtown Ithaca can support an upscale conference center. The Downtown Ithaca Housing Demand Study – conducted by the Danter Company – represents a compilation of data gathered from various sources, including the properties surveyed, local records, and interviews with local officials, real estate professionals, and major employers, as well as secondary demographic material. Conducted in 2016, the study concluded that over the next five years there is overall housing demand for up to 1,350 units in downtown Ithaca consisting of up to 350 for-sale housing units and up to 1,000 rental housing units. A demand also exists for 1,000 student purpose housing units to be built in the downtown area. Downtown Ithaca currently has a low vacancy rate, extremely high rents, and an ability to readily absorb new units in the marketplace. 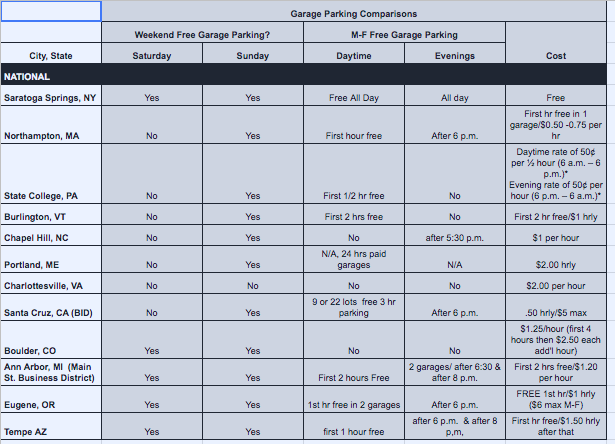 The Downtown Ithaca Alliance recently completed a parking analysis, comparing downtown Ithaca to 18 other cities. 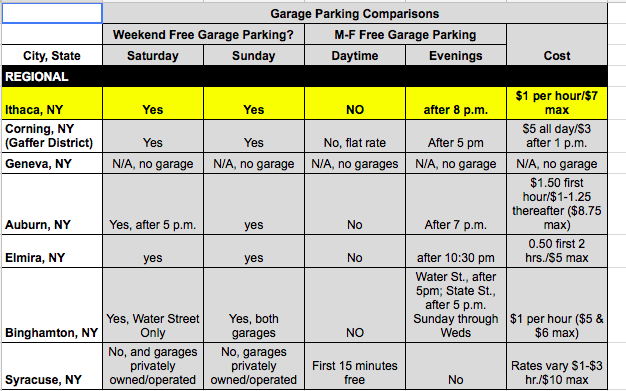 The findings show that the City of Ithaca charges more for the first two hours of on-street parking than other cities in the region; however, its garage rates and on- street rates are on par with comparable cities across the country. 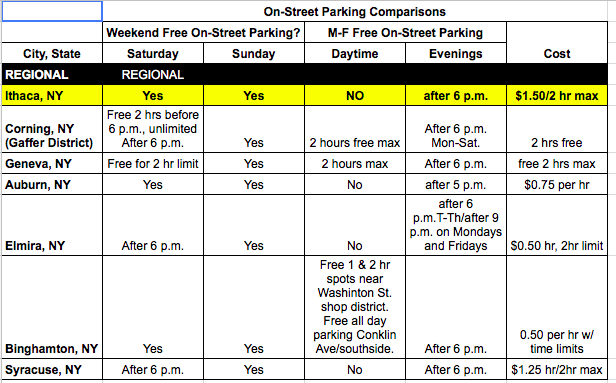 The study also found that comparable cities nationally charged for longer hours, but tended to offset these extra hours with free parking opportunities. A summary of this study can be found by clicking here.